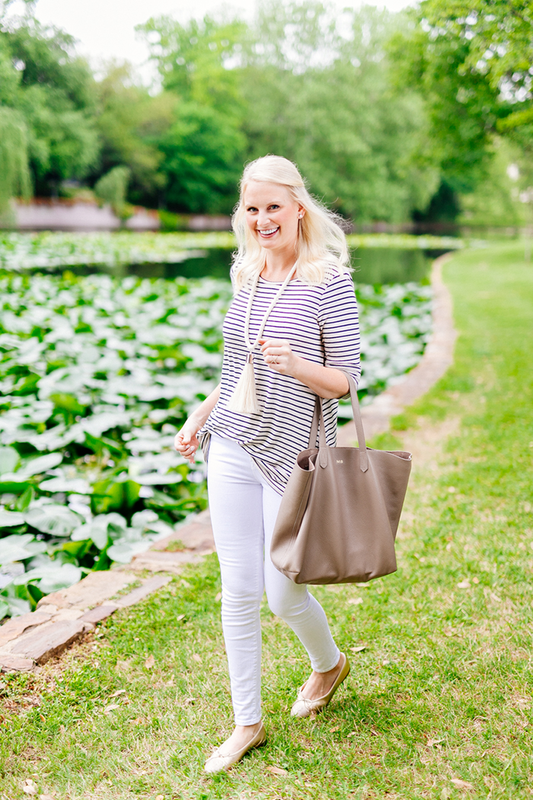 One of my favorite ways to spice up my daytime wardrobe is by pairing my favorite closet staples (like this simple striped tee) with bold accessories. This horse hair tassel necklace is one excellent example! I found this piece while perusing The Dreslyn’s new arrivals a few months back and figured I’d give it a try. I love a good tassel, so I couldn’t lose, right? When I got it in the mail, I knew this one was special. It’s a bit oversized which makes it the ideal statement necklace, but it’s neutral colors make it subtle and wearable. 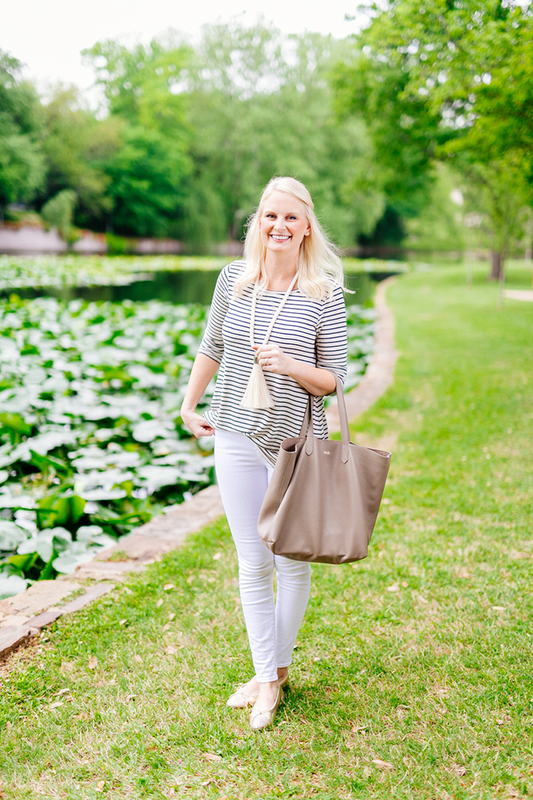 Since I wear so many neutrals already, it goes well with so much! What are your favorite ways to shake things up during the week? great casual outfit, love that necklace and your flats are divine. Love this look! That tassel necklace is awesome! This tassel necklace is so different! It’s such a fun statement piece. Love the look! I love this casual look! Even though is simple it looks so put-together because of your beautiful accessories. I love a good striped tee! The gold accessories and tassel necklace are so fun and fresh and those are the shoes I’m DYING FOR. 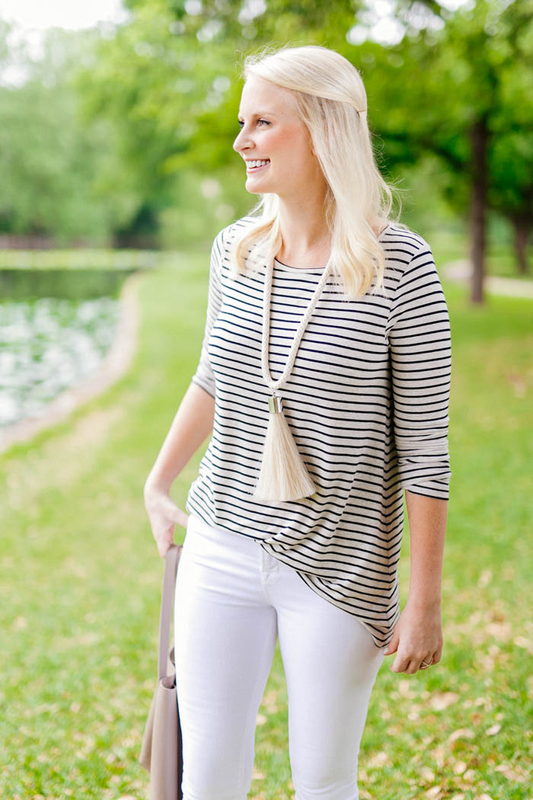 Casual chic perfection — always love stripes, white & gold (and tassels!). Tassels are my favorite right now, and this necklace is amazing. You look gorgeous as always! Obsessed with that necklace…and those flats are gorgeous! Love seeing your more casual looks! 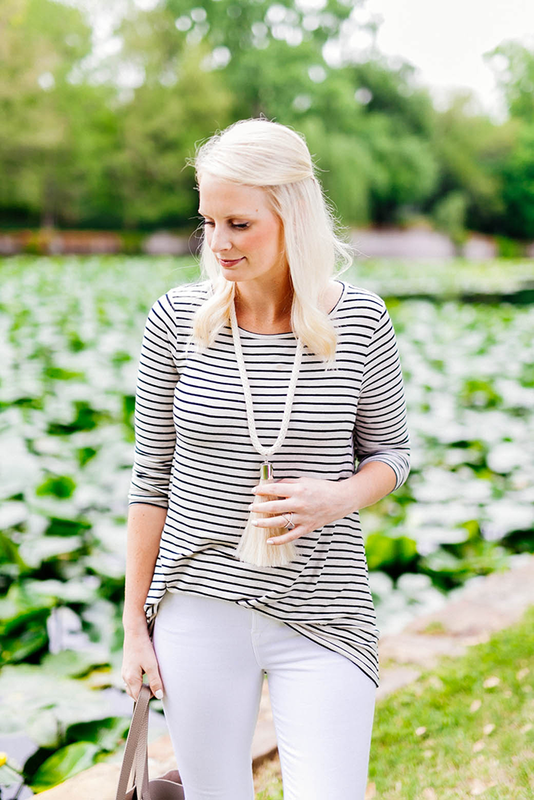 This striped top is the perfect closet staple. That hassle necklace is so killer! Love it! 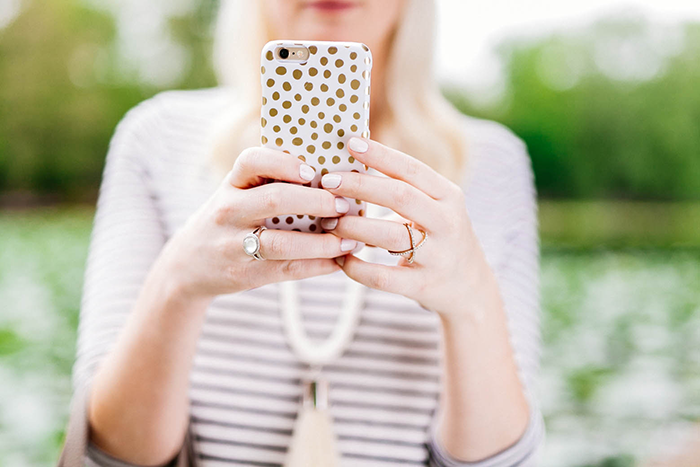 I totally agree about pairing everyday pieces with fun accessories. It makes casual looks feel special without sacrificing comfort too. 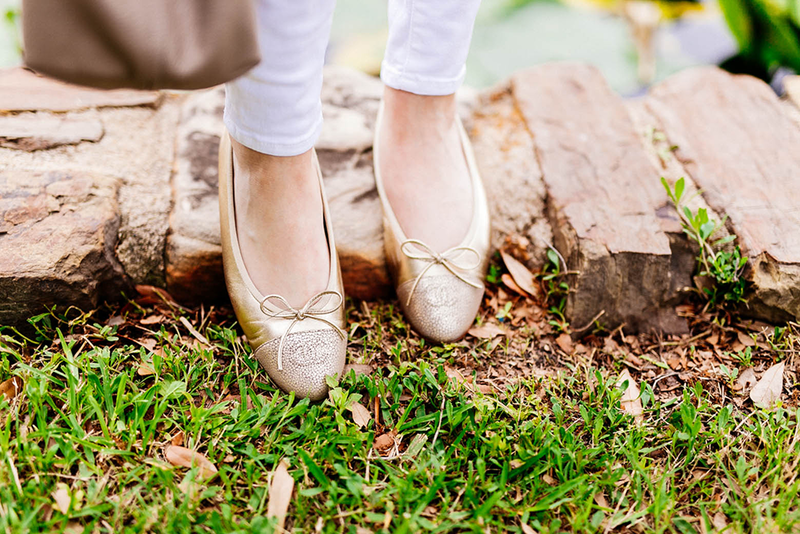 Your flats are amazing too. Such a great neutral look. The necklace is sooo pretty!!! Love the entire look, so perfect for spring!